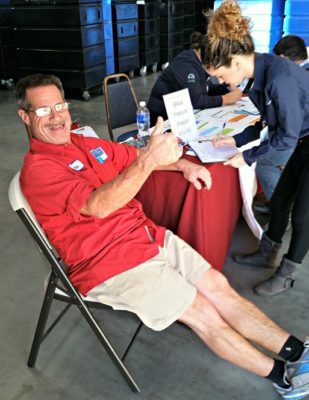 On Thursday, February 11th, locations throughout San Diego County offered free blood pressure screenings for residents in honor of the fifth annual Love Your Heart Day, sponsored by the County of San Diego and its community partners. The purpose of the one-day event is to promote heart health by empowering San Diegans to “know their numbers” and take control over their health. Goodwill Industries of San Diego County (Goodwill) participated in Love Your Heart for the third year in a row. Both the Vista and Otay Ranch locations hosted events, with free blood pressure screenings available to the public and their employees in front of their retail stores.